After Mitt Romney’s recent decision to not to launch his third presidential campaign, many people are wondering “what is next?” for the GOP’s 2012 presidential nominee. As of February 11, it was announced that Romney is scheduled to be a keynote speaker at the Republican Jewish Coalition’s meeting in Las Vegas, which is an organization he highly supports. In order to stay relevant in the Republican party affairs, Romney will be attending more high profile appearances such as the one in Las Vegas. According Spencer Zwick, head of Romney’s campaign’s fundraising operations and also a close advisor, says:”The thing that Mitt Romney has going for him is he has a microphone,” microphone meaning, an influential voice. 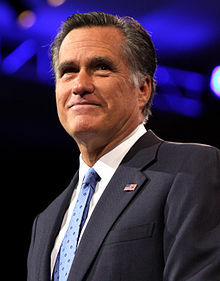 He goes on saying, “When he talks about an issue people are going to have to listen and they’re going to have to respond.” After taking himself out of the presidential running, Romney himself stated that he hopes “one of our next generation of Republican leaders” will be the Republican nominee. However, Romney has no intentions to fully step out of the presidential spotlight. Many aides suggest that he could have an important position in the 2016 debate by maintaining a regular appearance schedule, staying in touch with the media, and speaking on political issues such as minimum wage and foreign policy. ← Vaccinations: Mandatory or Optional?